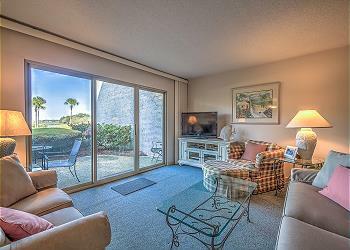 Sea Pines never disappoints! 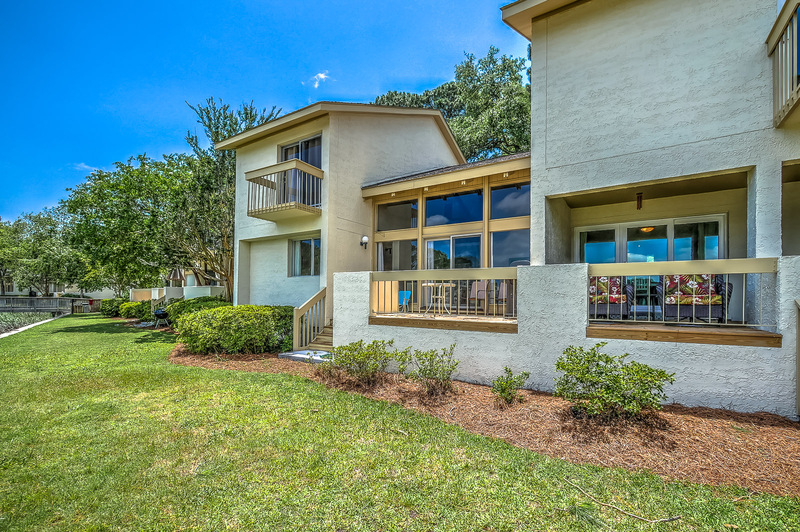 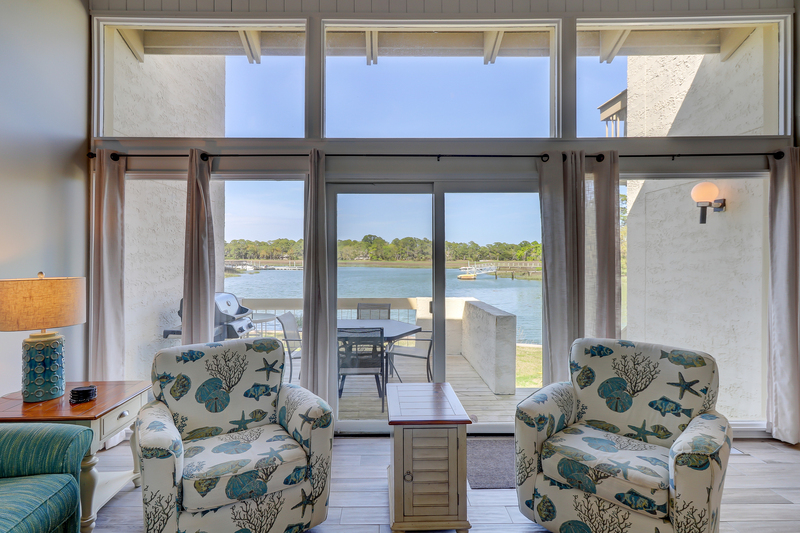 This lovely 3 bedroom, 3 bath townhome is in the South Beach area of Sea Pines Plantation. 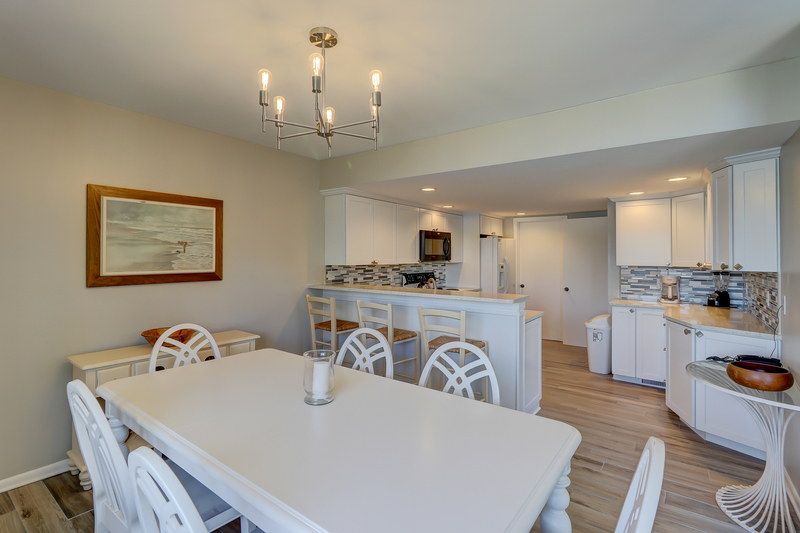 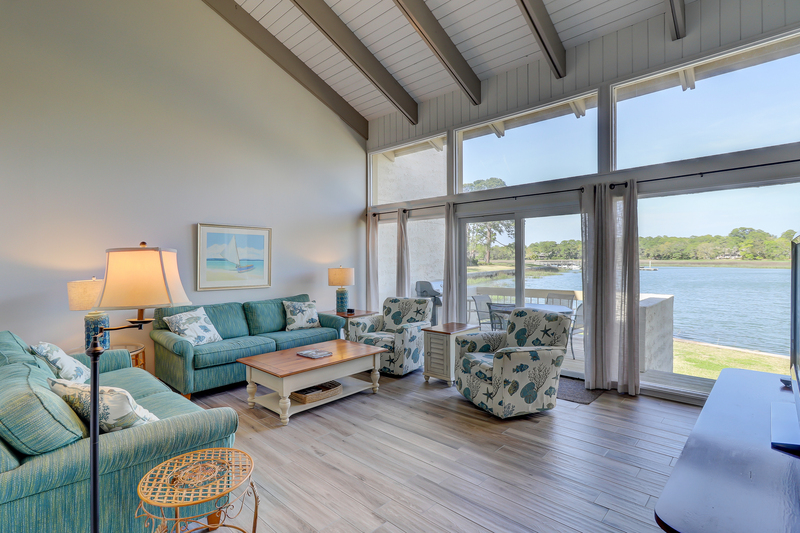 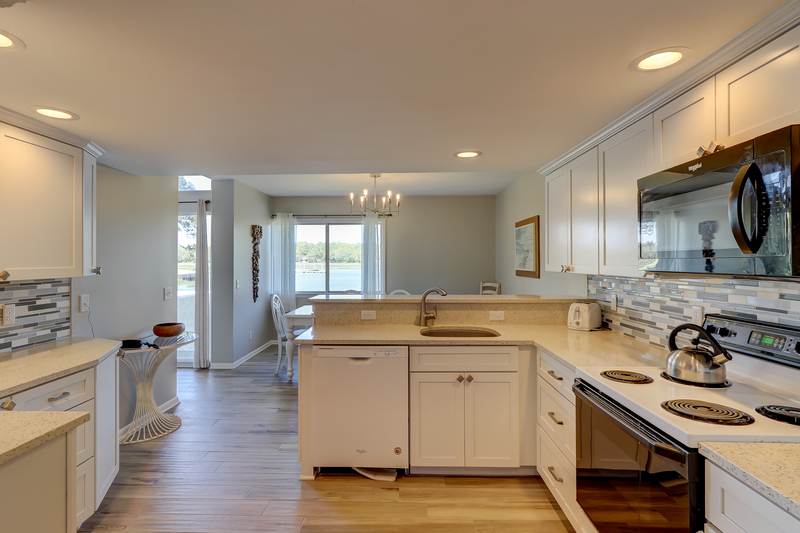 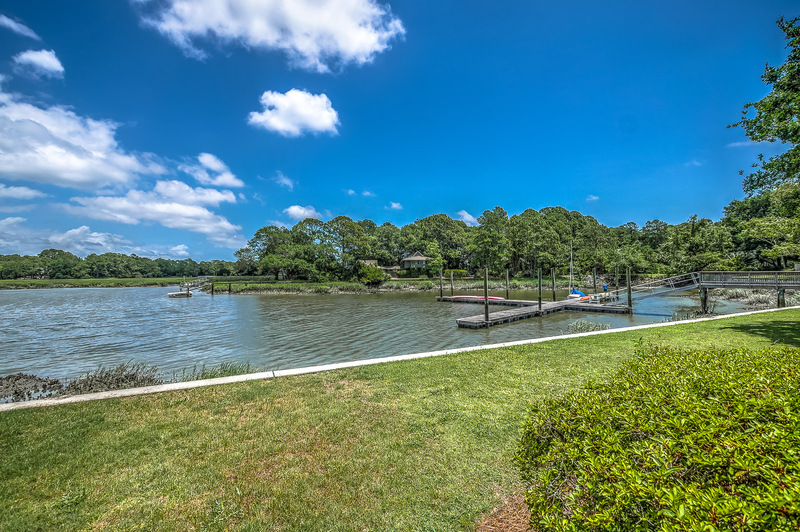 On the first floor of this tastefully decorated villa are the kitchen, dining room, and living room with stunning views of Braddock Cove as well as a bedroom with 2 twins. 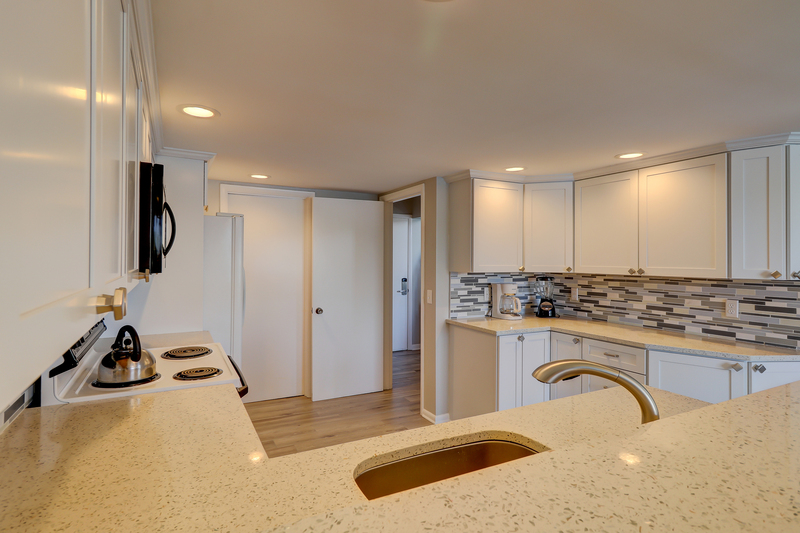 This bedroom accesses a hall bath from the bedroom. 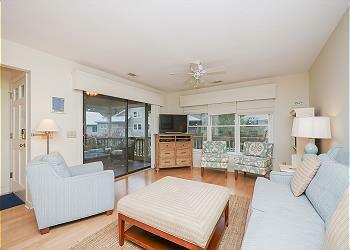 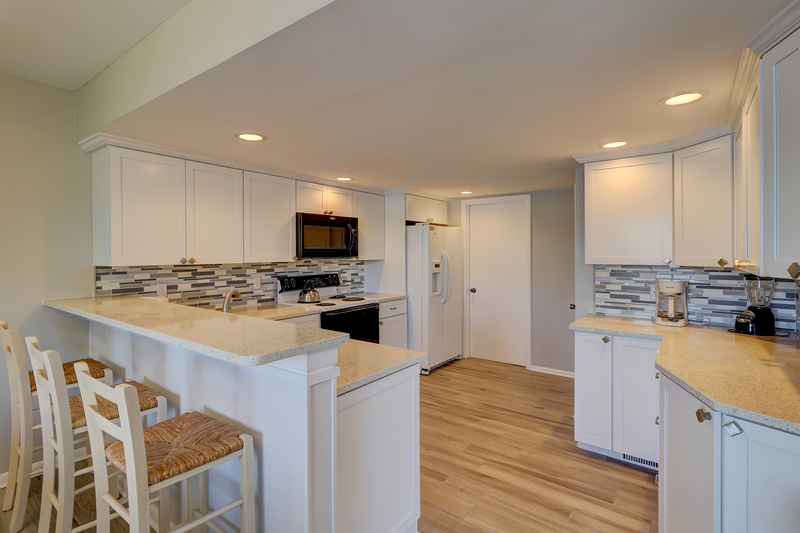 Upstairs are 2 bedrooms with the master bedroom facing Braddock Cove. 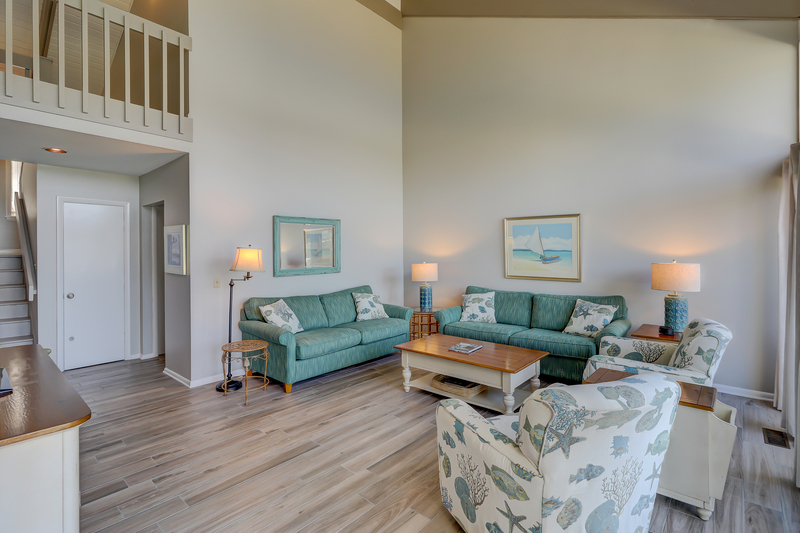 The master bedroom has a king bed with a private bath and the 2nd bedroom has 2 twins with access to a hall bath. 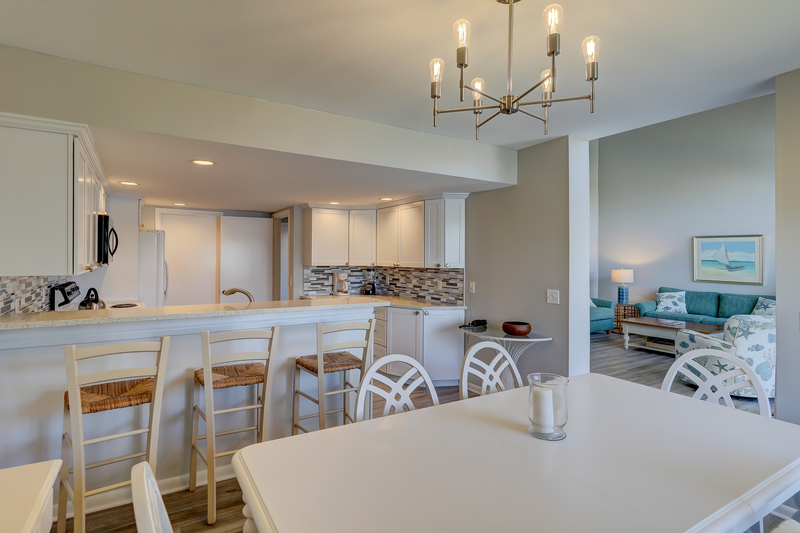 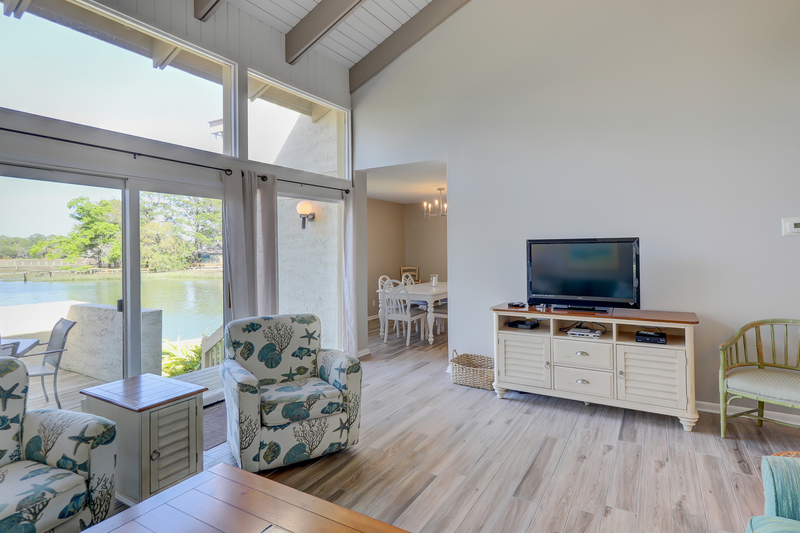 This villa offers everything you could want - beautiful unobstructed views, seaside décor, and all within a short bike ride or walk to South Beach Marina where the food, entertainment, and shops provide added enjoyment.